Expired 2d ago . Last validated 3mo ago . Used 5 times. Guillermo Garcia I am re-activating this expired deal. I will update it and validate that it works. Get 10% off your next order at Kaged Muscle at site wide. Simply enter the code during the checkout process to apply this discount. 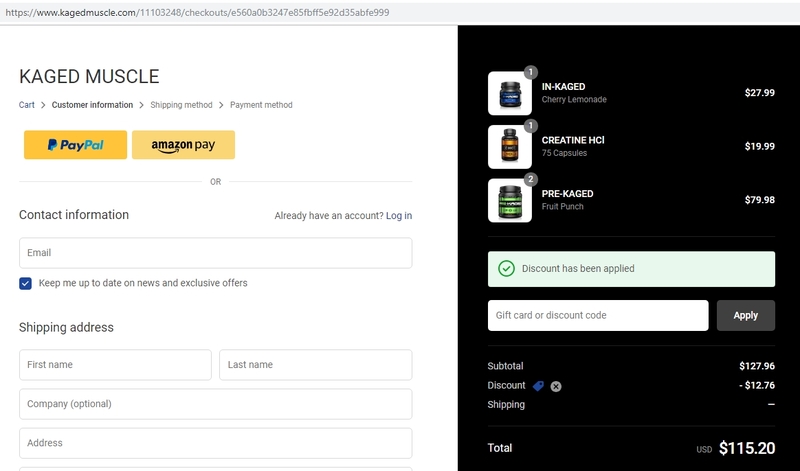 Juan Luis During checkout use coupon code <craig10> to get 10% off your next order at Kaged Muscle. This is a limited time offer. Certain conditions may apply.